How does law protect in war? Online is pleased to introduce “IHL in action: Respect for the law on the battlefield”. This collection of real case-studies aims at documenting compliance with IHL in modern warfare. Just like How does law protect in war? Online, the cases are based on publicly available information, followed by a discussion section, which raises thought-provoking questions. However, the reproduced documents take a special interest in showing instances of respect of IHL, and the discussion focuses on the elements that may contribute to respect for IHL in the case at hand. By gathering examples of “IHL success stories” into this database, the authors aim to recall that the reality of armed conflict is more nuanced than what is generally reported in the media and by NGOs. Despite numerous violations of the law, compliant behaviour shows that existing rules are adequate and can significantly reduce human suffering. The project hopes to foster a change in the way we talk about, teach and research IHL. The cases reproduced are not intended to and should not be seen as ignoring the suffering of victims of armed conflicts, both by attacks which do not violate IHL and by violations of IHL, committed by the same party whose respect is mentioned in the cases reproduced. The project has been conducted by four IHL clinics: Emory University School of Law, Leiden University, Interdisciplinary Center Herzliya and Roma Tre University. All cases have undergone independent peer review. 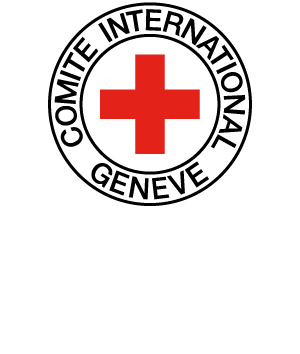 The database is hosted by the International Committee of the Red Cross (ICRC) with a view to encourage the reporting, collection and promotion of instances of respect for IHL. The cases shall not be construed as reflecting the views of the ICRC. The case-studies can be searched by country – on a clickable map – or by topics (conduct of hostilities; protection of persons and objects; combatants and POWs; implementation mechanisms). Each case study begins with a summary of the situation and a selection of public and official documents on IHL, followed by a discussion section. The cases are intended to encourage practice-oriented thinking on the ongoing relevance of IHL in contemporary conflicts and identify elements, both legal and non-legal, that foster respect for the rules of war in armed conflicts. As the project is ongoing and aims for a growing number of “success stories”, the ICRC calls for more cases to be submitted to enrich the database.